Any good reasons to use a ballhead on a monopod? To each there own. Thers no wright or wrong, just preferences.. Thanks for the clarification. And the last sentence is important and very truth. The thing he learned me, was to tilt the monopod a little against myself, for improving stability, and not just resting the weight of the camera and lens on a right standing monopod. To do this, one have to use a head on the monopod, a tilt head will do the same job. If I need to work with fast reframing, as for wildlife or birds, I don't adjust the ball head for every framing. I just adjust it for the situation, and move the monopod for each framing. So I work with the same speed as those without a head on the monopod, I just have the monopod in an other angle to the camera/lens and to the ground. I can understand that a photographer that is standing by a stadium for who know how long time, with a heavy lens is using the monopod mainly for resting its weight and have the equipment ready all time. And that he therefor can use it without any head. That is not how I use my monopod. It is so fast and easy. I have two monos and two tripods. Heavy duty for local and lighter carbon for travel. All my bigger lenses have RRS plates on them. I even incorporated an idea for BR system from POTN I think. FYI. 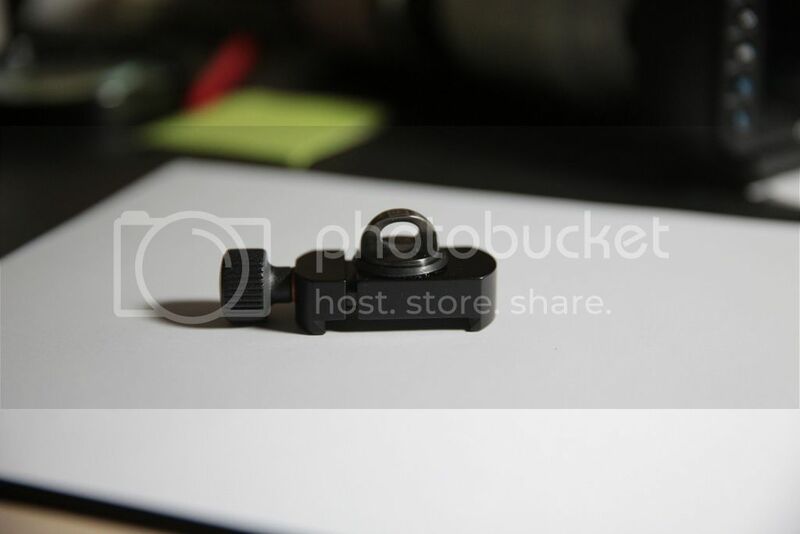 This shows a one inch Kirk plate but recently I upgraded to a 2 inch since getting a 70-200 2.8 V2. Heavy lens and although I trust the system the wider clamp just gave me a bit more confidence. My RRS monopod and tilt head shows up Monday. I'll be glad to put it through its paces to see if it is what I want. I'm pretty sure it is. I just have an arca clamp on the pod with no head at all. Works best for me. I shot a few macro photographs using my new monopod/tilt head today. The extra stability is wonderful for an older guy like me. The RRS MH02-Pro is amazing.... smooth operation, easy to use. I couldn't be more pleased. And as has been noted, it can be swiveled 90 degrees by loosening a knob. Tighten it up and you're good to go. I use my Markins Q20 on my monopod all the time. I like it and only have to carry one head for both my monopod and tripod. 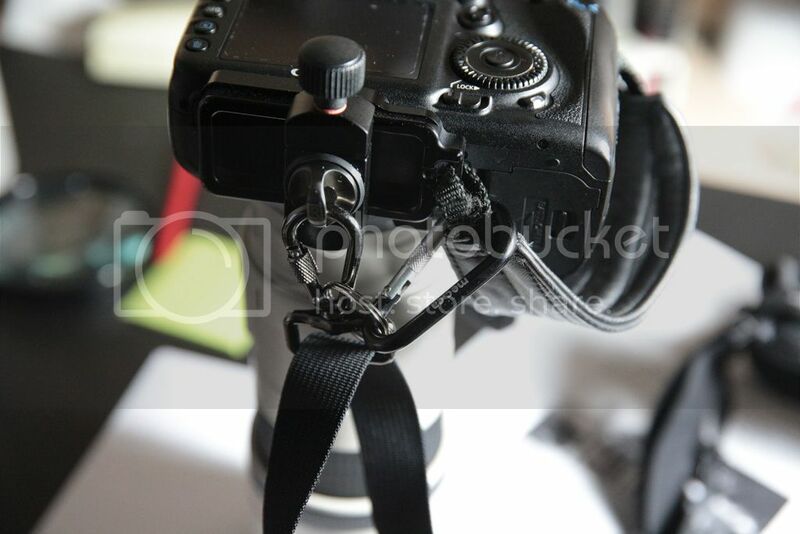 I've used the ballhead when converting my travel tripod to monopod, it works fine when locked down. It's not hard to adjust but my tilthead is much easier. I also use a Sirui L-10 on my dedicated monopod. I also prefer the tilthead because I can also shoot with it loose enough that I can quickly tilt up/down if the particular case it's desirable but it's still easy to handle(ballhead might flop to the side). My monopod has a built in tilting head. No locking only friction. Gitzo 1558, they don't make them any more. I only use it with my 500. Works great.